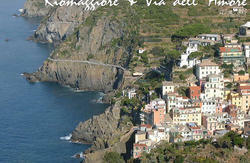 This hostel is ideal for anyone who wants to better enjoy nature and relax the 5 Terre. 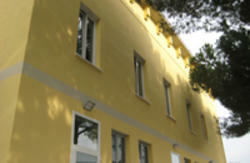 The hostel boasts a fantastic location, surrounded by greenery and a stone's throw from the Cinque Terre National Park. The 5 Terre Backpackers hostel is located in the quiet village of Corvara. 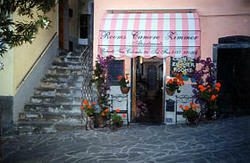 Right on the Strada Provinciale 38 that leads directly to the coast of Monterosso. Offering panoramic mountain views, this hostel is in an ancient building with stone walls and includes two comfortable bedrooms for 3 people, one bedroom with 4 sleeps and one bedroom with 7 sleeps. The rooms are characterized by a mix of rustic and contemporary design, with wood floors, wood-beamed ceilings and modern decor. Each floor has a shared bathroom which includes a shower. Especially suitable for groups or people that travel around this area with their own way of transport, or rented car. Free parking. We offer a pick-up service from/to Monterosso Train Station (the journey takes about 20 min) or from/to La Spezia Train Station (the journey takes about 15 min). The pick-up service is included in the price of the room. We have a bar and possibility for having breakfast and dinner!!! We have a large dehor in front of our bar where you can relax with a drink or just chat with other people and a garden that we use to organize various events like our BBQ dinner, pizza dinner and much more, for our guest. WiFi is free in the entire property and we also offer 2 living rooms with TV where you can watch a dvd or just take a book from our library. You can do on-line booking to our multilingual reception. We also offer an information service and organised excursions. Check out from 06:00 to 11:00 .